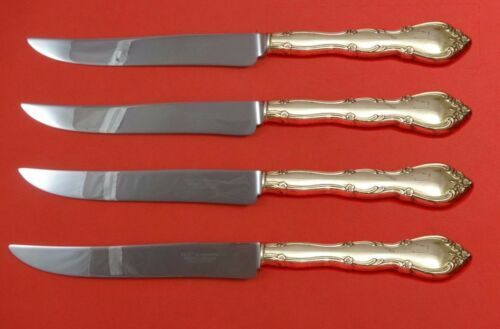 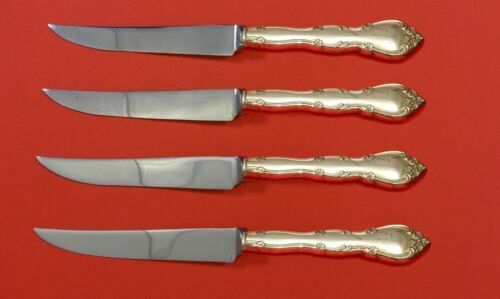 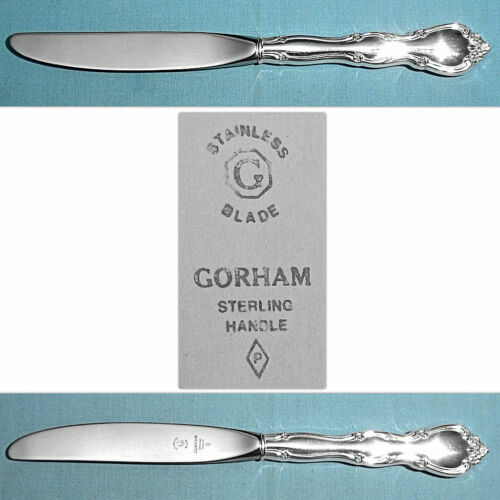 $289.0 Rose Tiara by Gorham Sterling Silver Steak Knife Set 4pc HHWS Custom 9 1/4"
$429.0 Rose Tiara by Gorham Sterling Silver Trout Knife Set 6pc. 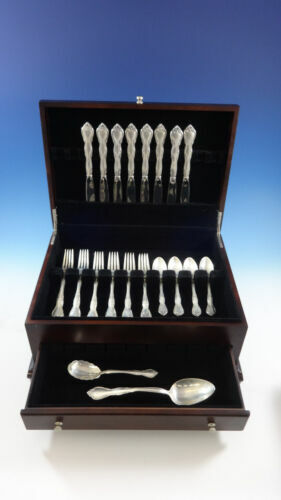 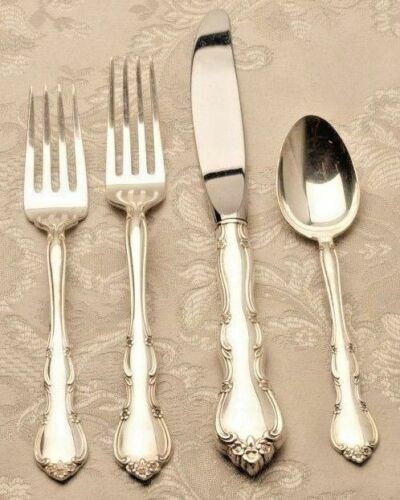 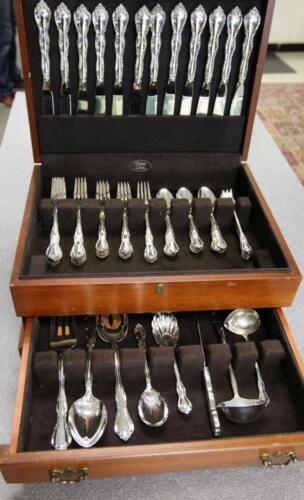 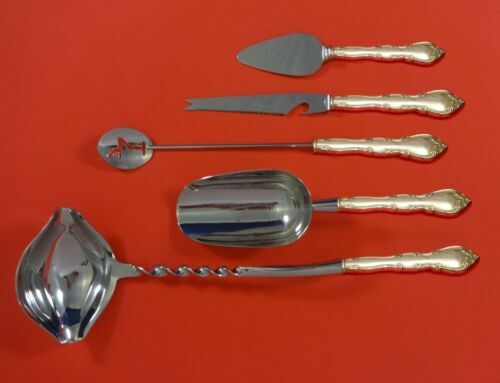 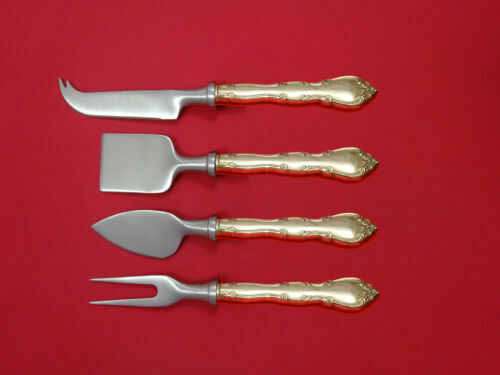 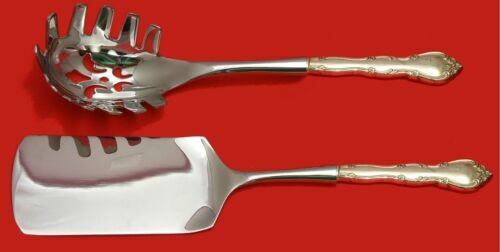 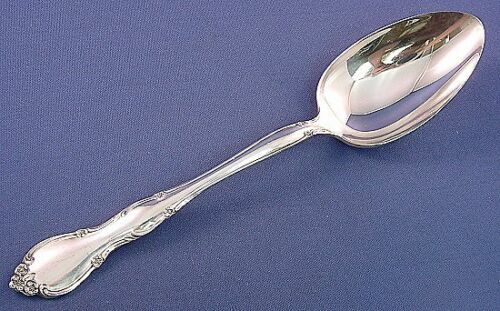 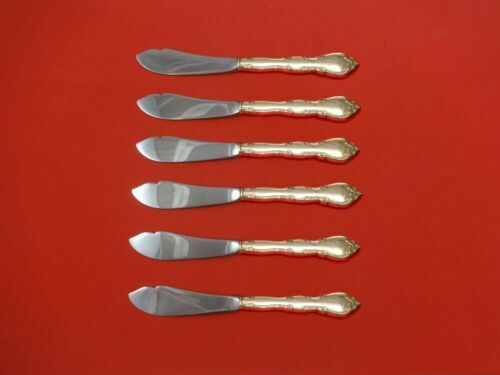 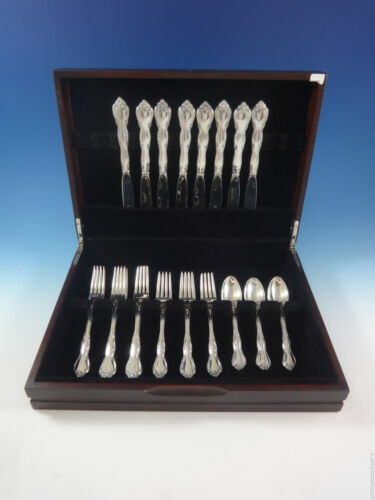 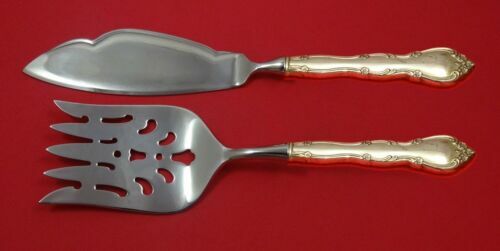 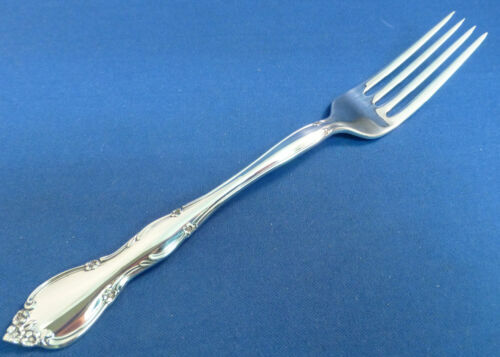 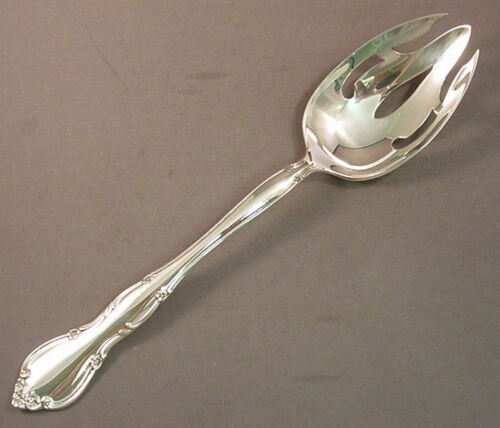 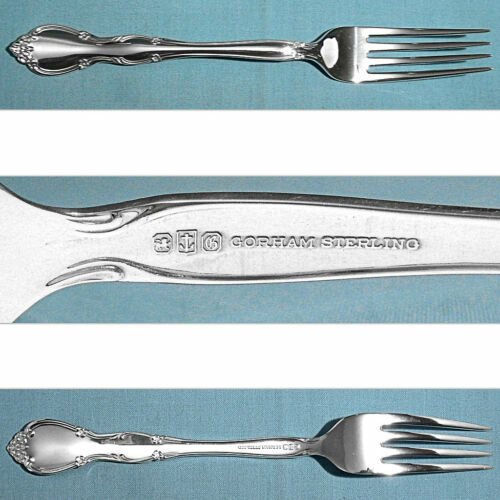 Custom Made 7 1/2"
Buy: $189.95 4 Forks ROSE TIARA Gorham Sterling Silver Flatware 7-3/8"
Buy: $59.95 3 Knives ROSE TIARA Gorham Sterling Silver Flatware 9"
$89.99 ROSE TIARA-GORHAM STERLING DINNER/PLACE FORK(S)-7 1/2"
$129.0 Rose Tiara By Gorham Sterling Silver Serving Spoon Pierced Original 8 1/2"
$99.87 4 Gorham ROSE TIARA STERLING Modern Hollow Butter Spreader 6 1/2"
$119.0 Rose Tiara By Gorham Sterling Silver Serving Spoon 8 1/2"
$149.0 Rose Tiara by Gorham Sterling Silver Nut Cracker HHWS Custom Made 7 1/4"
$119.0 Rose Tiara by Gorham Sterling Cold Meat Fork 8 3/4"
$139.0 Rose Tiara by Gorham Sterling Silver Vegetable Peeler HHWS Custom Made 6"
Buy: $1600.0 Gorham Rose Tiara Sterling Silver 35 piece set in excellent condition! 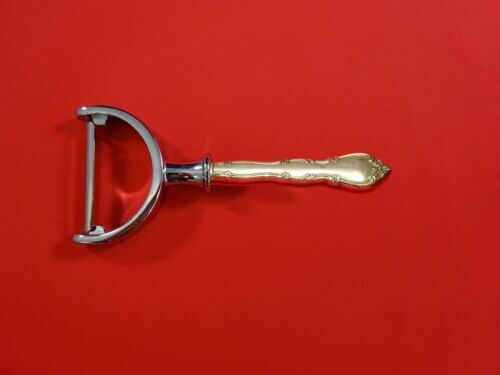 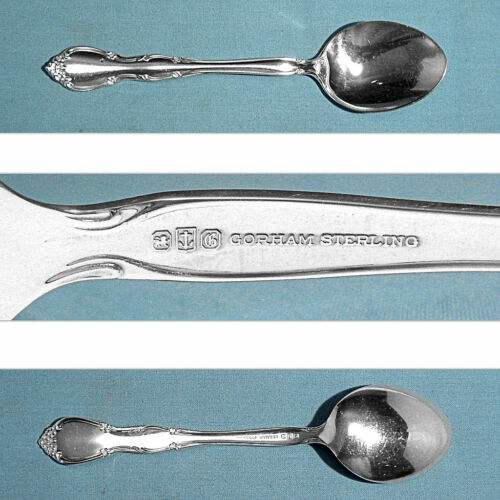 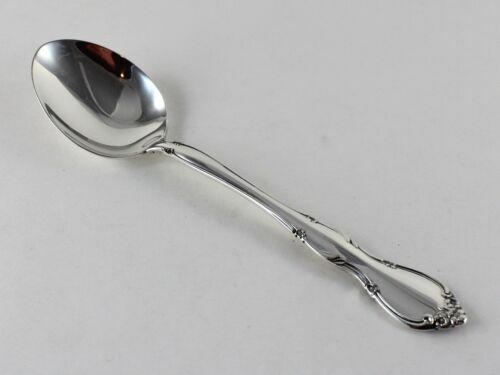 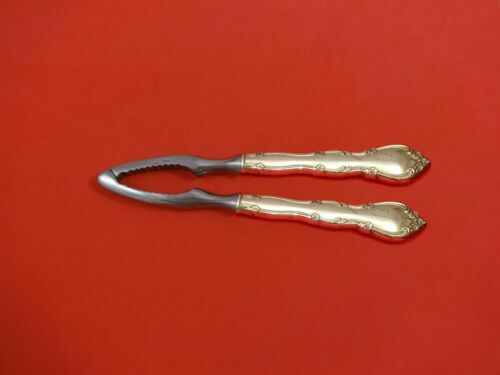 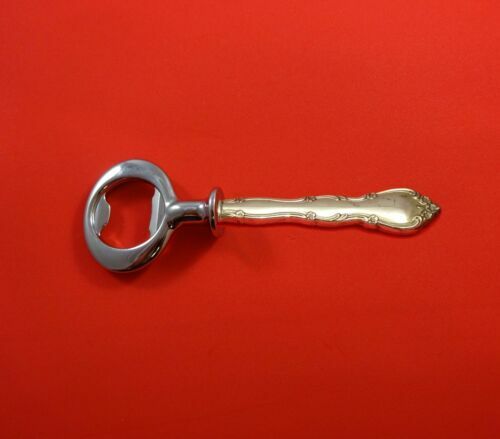 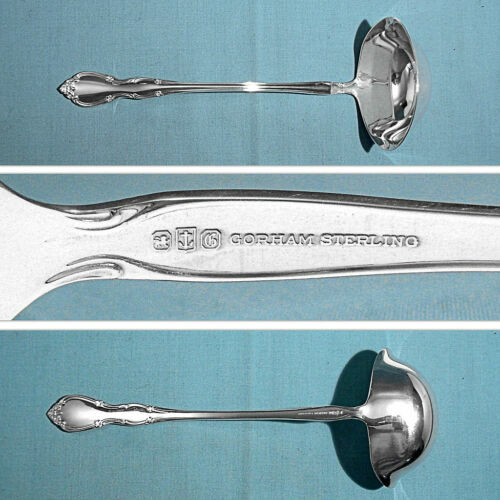 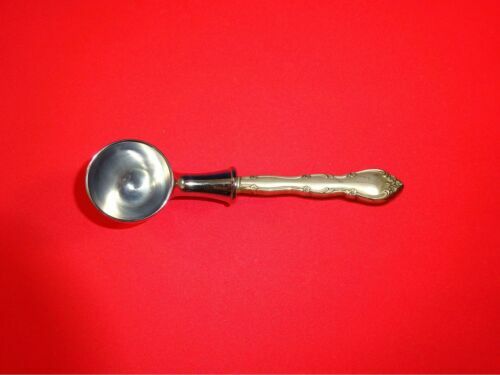 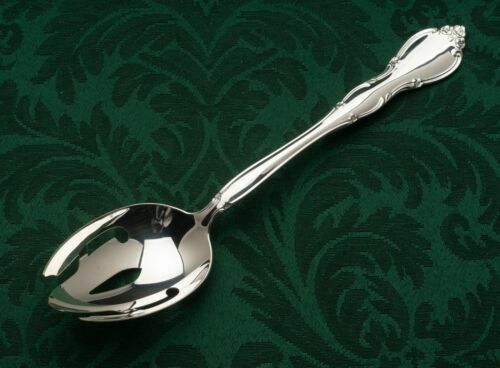 $109.0 Rose Tiara by Gorham Sterling Silver Pastry Tongs HHWS Custom Made 9 7/8"
$119.0 Rose Tiara by Gorham Sterling Silver Serving Spoon Pierced 9-Hole Custom 8 1/2"
$33.0 Rose Tiara by Gorham Sterling Silver Sugar Shell 6 3/8"
$109.0 Rose Tiara by Gorham Sterling Silver Coffee Scoop HH Custom Made 6"
$119.0 Rose Tiara By Gorham Sterling Silver Gravy Ladle 7"
$83.0 Rose Tiara by Gorham Sterling Silver Pierced Table Serving Spoon 8 5/8"
$109.0 Rose Tiara by Gorham Sterling Silver Bottle Opener HH Custom Made 6"
$43.0 Rose Tiara by Gorham Sterling Silver Master Butter Serving Knife 7"